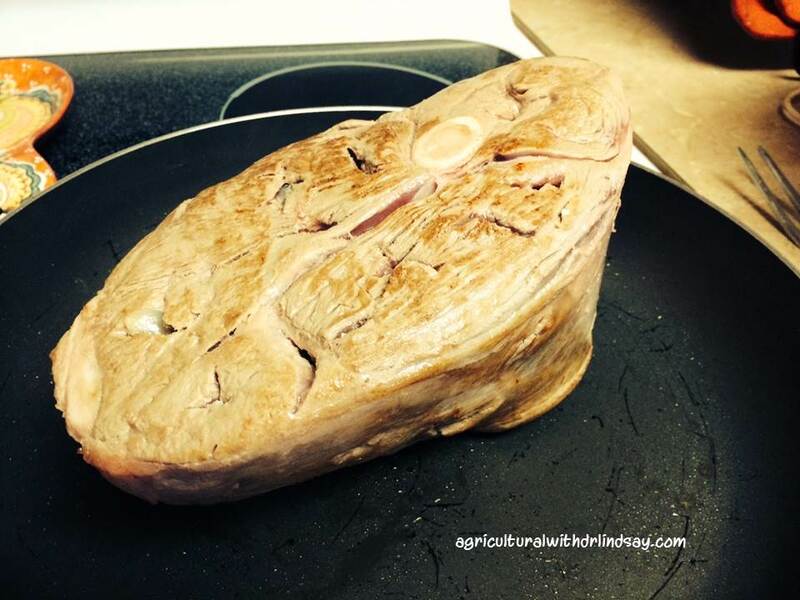 Since Lamb Lovers Month is nearly over I thought I would do a post on how to prepare the “Perfect Leg-of-Lamb” (or darn close to perfect). If you haven’t yet tried lamb, I encourage you to do so. 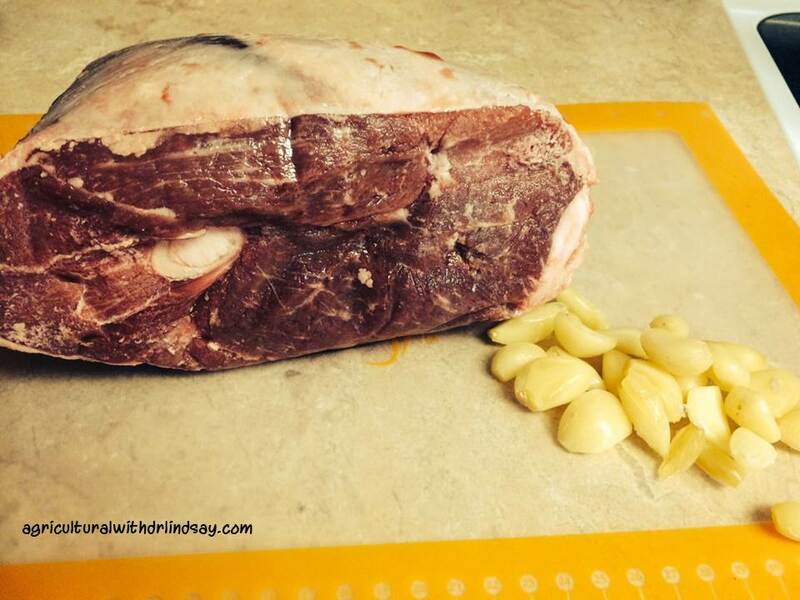 If you are hesitant on preparing it, prepare it like you would beef! It can be expensive, but with the guidelines I provide below and those recommended by the American Lamb Board you will be on your way to becoming a great lamb chef! I have 5 rules to eating/cooking lamb (and really these can be applied other species too) – these are very important!! 2. It must be eaten HOT – not warm or warmish, and certainly not cold! If eaten cold, the fat in the meat kinda sticks to the roof of your mouth… So eat it HOT and by-pass that situation. 3. Lamb and garlic go together so nicely. Think of this dynamic partnership as powerful as macaroni and cheese, milk and Hershey’s chocolate syrup, or peanut butter and jelly (you get my drift). 4. Do not overcook lamb! Lamb is best at medium to medium well (should still be slightly pink). Overcooking it will dry it out, and make your eating experience not so desirable! Again, cooking lamb will be very similar to cooking beef. 5. Lamb and red wine are also very complementary. Cooking with wine adds such great flavors. 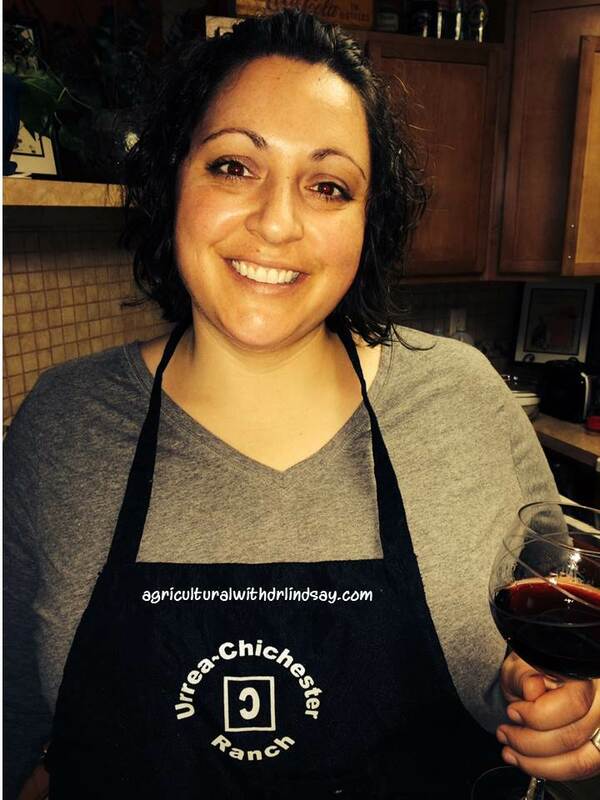 If you are nervous about cooking with wine (kids, pregnancy, etc.) the USDA provides figures on the percentage of alcohol remaining of the original addition. In the case of slow cooking a leg of lamb, you can see that less than 5% of the alcohol would be left after the cooking process. If you are uncomfortable with wine, water will work just fine. Cooking lamb was passed down to me by my mom, and now I am passing the leg of lamb recipe onto you. You will not be disappointed. Heat a frying pan to hot (medium high to high). Meanwhile, in the leg make “+” cuts about 1 to 1 1/2 inches into the meat with a knife, you will shove the garlic into these cuts. Add as much garlic as you find desirable (note: the garlic flavor is not as strong in the cooked garlic as it is in the raw garlic). Make a “+” and insert garlic into the lamb. You can see I added a lot of garlic! You are going to sear your leg-of-lamb in the hot frying pan. Searing will quickly cook the exterior surface of the meat, this helps keep the juices inside the meat. Depending on how lean your leg-of-lamb is, you may want to add a little oil. I generally do not, and instead put the fattiest side down first. Do not put your meat in the hot skillet and walk away, you will need to be there watching it and turning it. You will only need to sear each side for about 30 seconds, make sure you get all sides and flip it up so the ends get seared too. Sometimes the shape of the leg-of-lamb will be awkward, just do the best you can. Once the exterior is seared, you will transfer the leg to your crockpot. 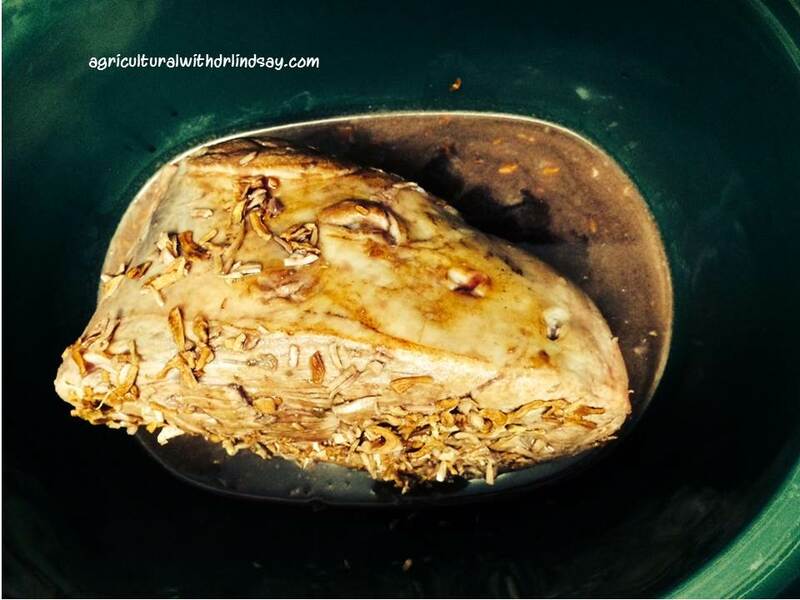 Turn your crockpot onto to low. Next mix together approximately 3/4 cup wine (water works too) and the packet of onion soup mix. I use whatever wine I have on hand (i.e. shiraz, cab, a blend, malbec – although never a sweet wine). 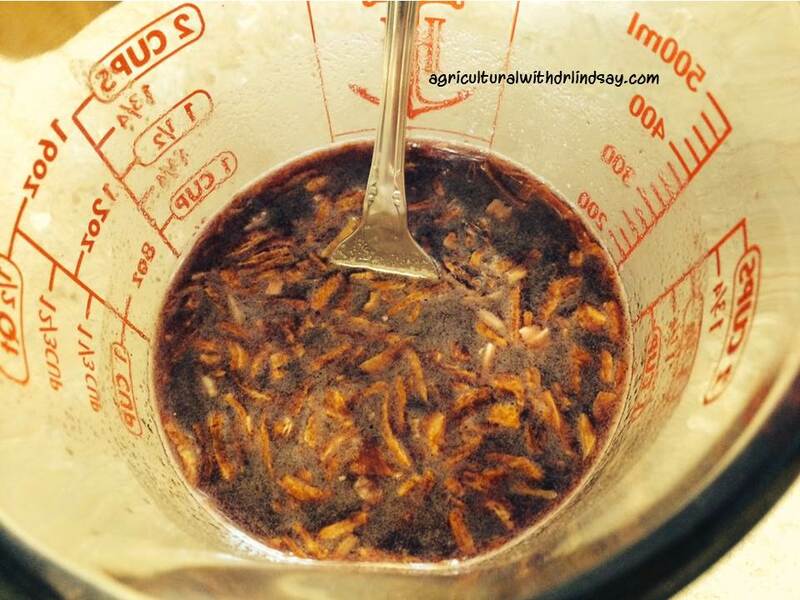 Onion soup mix and wine. 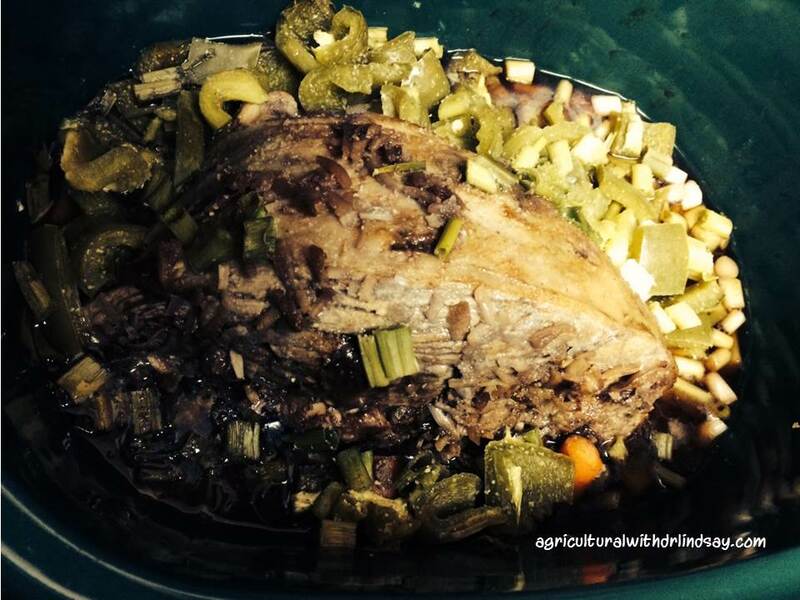 Poor this over the top of the lamb in your crockpot. Put the lid on and let it cook. I let this cook for about 6.5 hours. 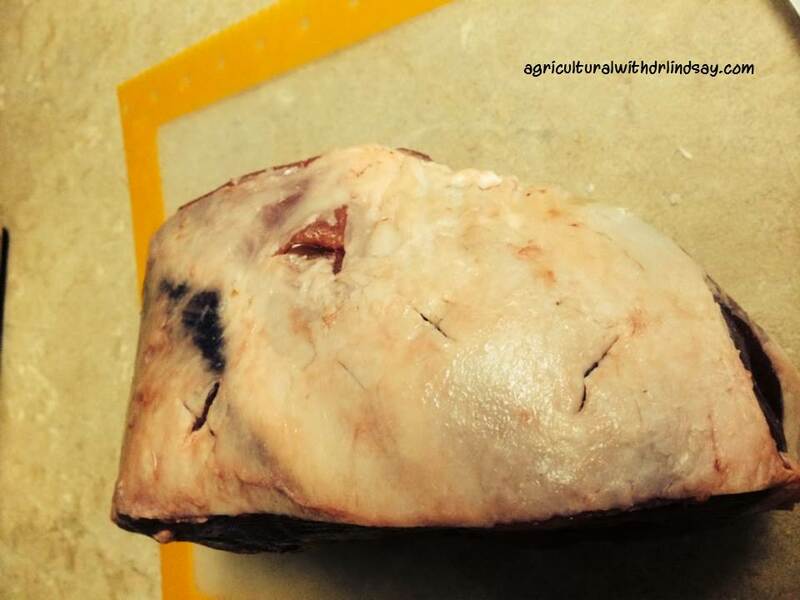 Again, the American Lamb Board has some good guidelines on how long to cook lamb cuts. Also, using your meat thermometer will help gauge how it is cooking. Since I cooked this over the weekend, I added vegetables a few hours into the cooking process rather than throwing it all in there at once; as I would do on a work day. When adding vegetables I put the “hard stuff” (i.e. potatoes, carrots) on the bottom and then add the rest. This is a great time to clean out the veggie drawer in the fridge too! This time I used carrots, celery, green onions, and bell peppers. You can use whatever you have on hand. 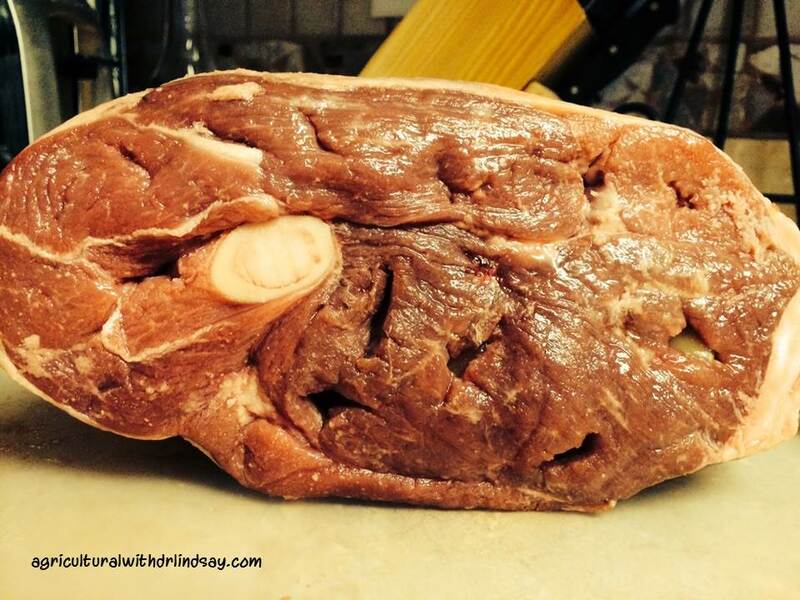 Once your lamb is done, let it sit or “rest” before you cut into it. When meat is cooked the muscle fibers will shrink and the moisture moves to the outer part of a cut of meat. If you let that meat rest for 10-20 minutes before you cut into it, that moisture will seep back into the meat – resulting in a juicy meat experience! Be sure to cover it with foil so it stays hot. 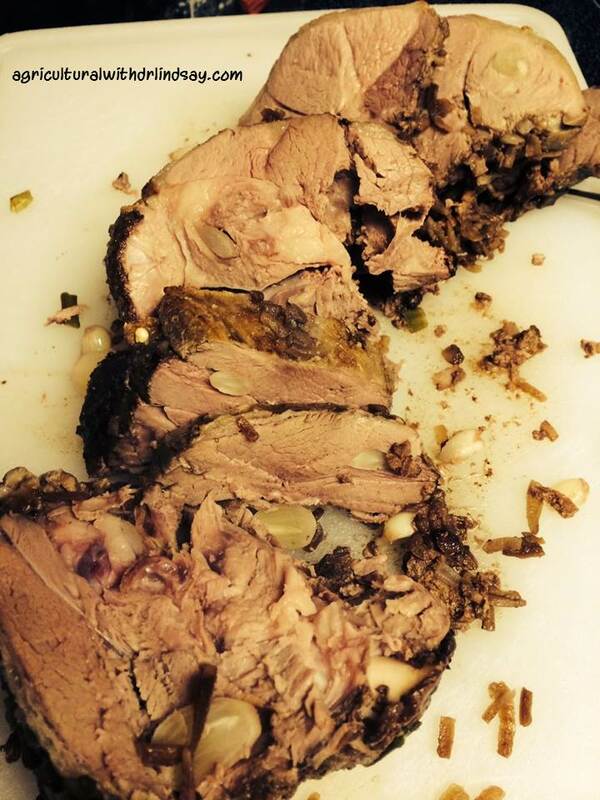 Once you cut the lamb, you will notice the garlic. Serve it up with the lamb, it is delicious. I usually don’t make a gravy, but if you do, the juices from the crockpot would be excellent. Look at all of that garlic! 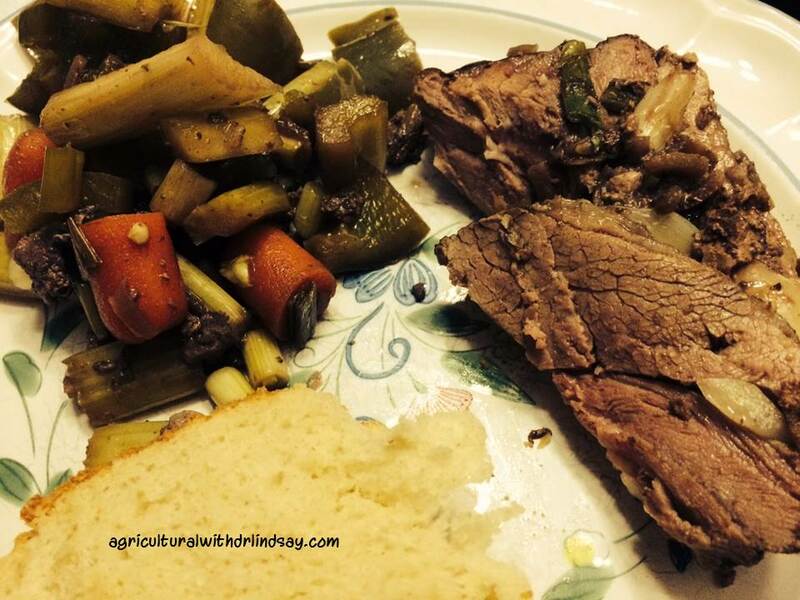 Leg-of-lamb, vegetables, and fresh made bread! Next Jello, lipstick, and marshmallows – oh my!